There is a change afoot at Microsoft and it's all because of new leadership -- a leadership that is slowly but surely redirecting a titanic size culture. Is that possible? Apparently so and with a notable ripple effect! All I can say is if there is hope for changing Microsoft's culture, there is potentially hope for any company that is need of a company culture reset. I love the term "reset" and have been doing so with clients in a variety of ways for several years. Recently I ran across an article in the Seattle Times about changes happening at Microsoft. I was quite inspired and heartened as it discussed the impact of their newest CEO, Satya Nadella. It is truly a beautiful case study in all the elements of leadership we promote related to the human quotient in business. As is part of our mantra, "When we are our best human selves, we will create our best businesses." In our leadership development, we emphasize being more human, connecting deeper to one's own humanity as a way of growing in influence and overall effectiveness. This seems to be exactly what happened with Satya. I encourage you to check out his interview as he shares about his life and what has shaped him into the business leader he is today. That link is to an article that is a compliment to the Seattle Times article linked above. What Can We Learn From Microsoft's New Leadership? I have a few thoughts followed by questions and I encourage you to come up with your own and share in the comments section. I'd love to hear your views. 1> Leaders have way more power than they probably realize (and are using) to affect broad, substantial change within an organization. 2> Vision matters (we in the leadership community give a lot of lip service to this one) ...as long as everyone knows what it is and everyone begins to act in accordance with it. Satya's vision of "One Microsoft" is spoken and posted through-out... "posters hanging on break-room walls within the company — is emphasizing the idea of “One Microsoft,” or a collaborative environment that hasn’t existed in many parts of the company in the past." 3> If your leadership is attractive others will want to model it. Someone heard Satya was up for CEO, he thought he would probably get it. Here's how he described it, "He recalled Nadella’s confidence in meetings, his ability to recall technical details of every project, his patience in explaining decisions." In the same article, I love the story of the manager who got feedback from an employee about how he responded in a meeting. He took the feedback, realized what the employee said was true and responded with an email apologizing. Here's the kicker, before that probably would not have happened, now it is expected. 5> Your leadership reputation can spur employees to recruit and acquire talent! This is a big one..." more than 2,200 former Microsoft employees have returned to work for the company. 2016 marked the highest return of former Microsoft coming back to the company, with 897 employees, equating to 14.1% of new hires." 6> Your leadership brand can actually save your company money (or cost it). People will stay, others will come back via the encouragement of existing employees. Can you imagine a current employee emailing a former employee and saying, "Have you ever thought of coming back?....it's different now." Bottom Line -- Your leadership brand is an asset! 7> What shapes you will shape your company. It's something we take a look at in our leadership development with this in mind: you are the sum total of your life conditioning and experience to date and that is the source from which you lead (consciously and subconsciously). Mr. Nadella goes into great detail about what has shaped him in his latest book Hit Refresh: The Quest to Rediscover Microsoft's Soul and Imagine a Better Future for Everyone. (Suggesting a company has a soul...interesting thought). * Does your leadership brand attract talent? * Is your leadership one that others would want to model? * Do you fully utilize your "leadership power, brand, influence" to amplify your voice and values so that every employee is very clear on what you stand for and expect? (Remember just because you said it doesn't mean they heard it -- past conditioning can get in the way! That's why consistently communicating your message is imperative). 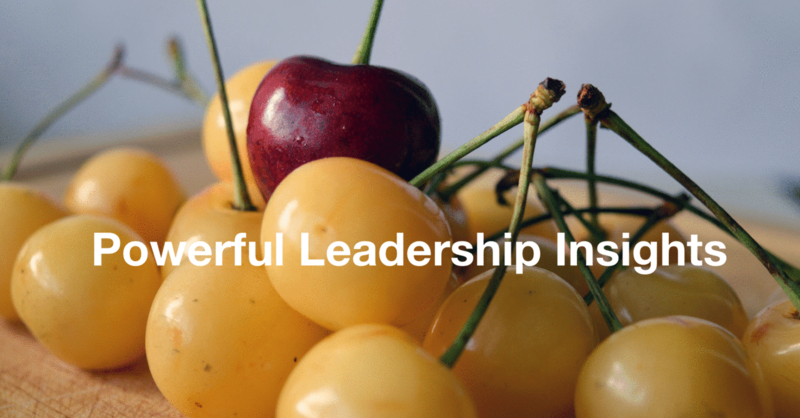 * Does your leadership brand positively impact the P/L? In closing, I am a huge fan of learning from others vs. reinventing the wheel and/or not making the same mistakes others made before me. Satya Nadella has provided tremendous, valuable, profitable lessons here... and guess what, they're free! Speaking of learning from the past, pick up a free copy of my latest Executive Briefing: I've Been Around The Block A Few Times. It contains (profitable) insights gained regarding leadership, management, and hr from my 20 years in business.